Mashable announces the new car wireless charger for selected phones that can charge fast on the road with compatibility of Qi car charging mount. 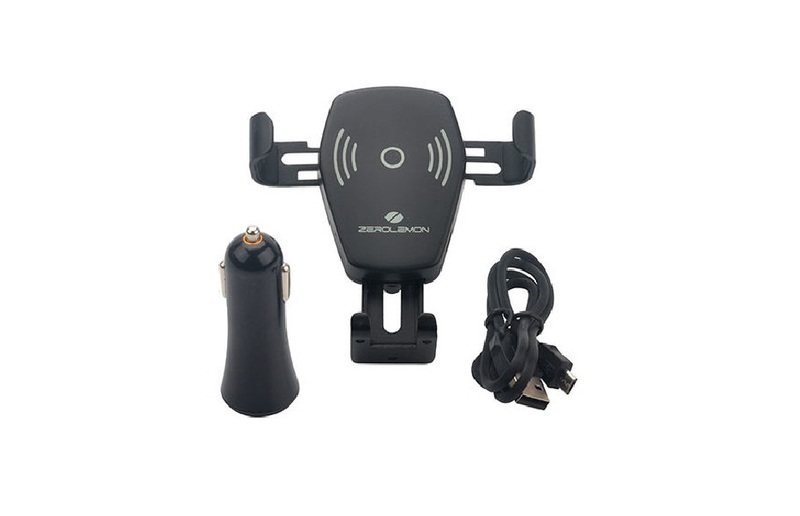 Fast Wireless Car Charger has an input of 9V/1.67A , 5V/2A and 10W output. The charger can accommodate phones which have 58mm and 88mm up to 10mm including Samsung Galaxy, Samsung Galaxy Note, and iPhone 8. It has the Qualcomm Quick-Charge 3.0 technology and can rotate left to right so the drivers can easily see if they’re using GPS. The charging efficiency is less than 75%. The wireless charger includes a charger dock, air vent clamp, screwing cover, Micro USB charging cable, car charger, and user manual. The original price starts at $39.99 but it is now less 35% which makes it $25.99 with an additional shipping fee through Mashable’s online shop. It is now available in the US. The expected delivery will be on June 5 to June 8 this year.